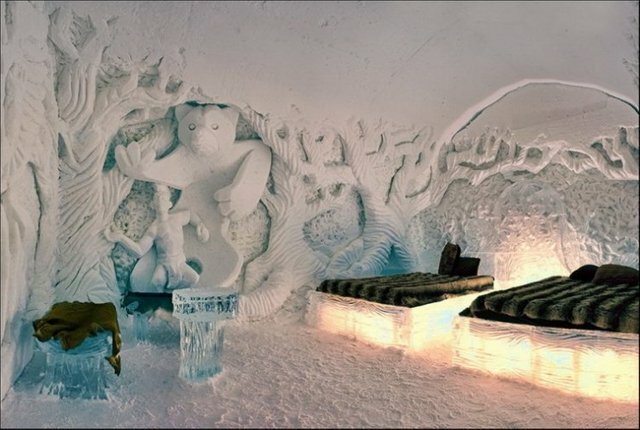 It might be the most beautiful ice hotel of all! 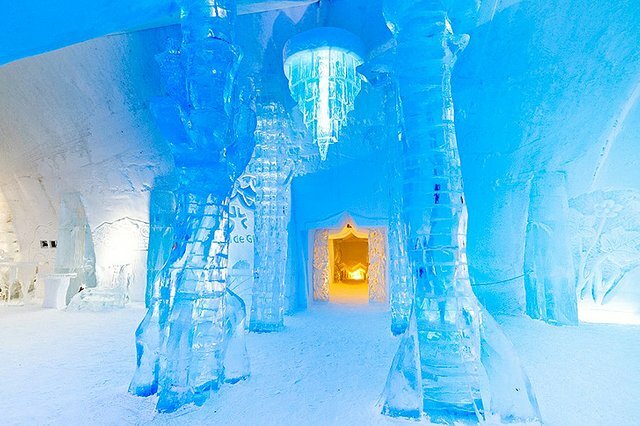 The ice is clear and looks like glass, thus creating this amazing sight. 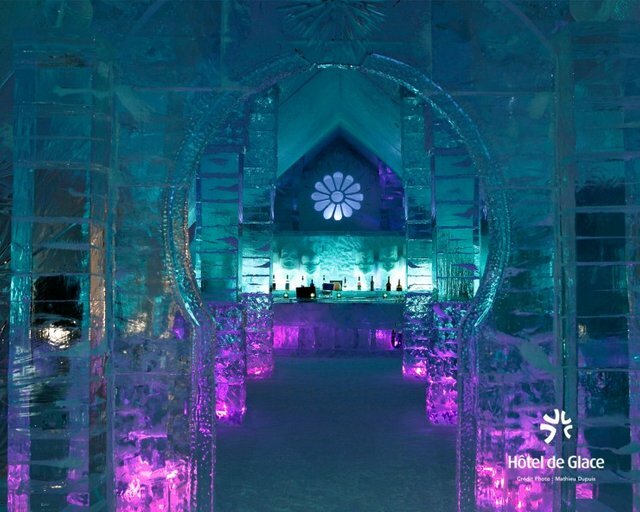 Only a few minutes from the center of Quebec City, the hotel meets and greets its guests with a drink served in an ice glass of course. 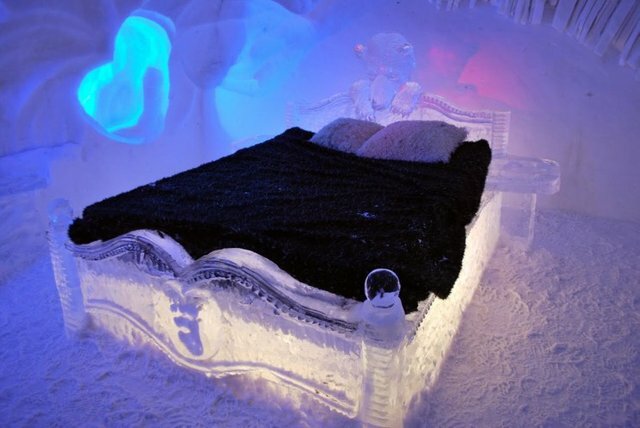 The rooms come with warm sleeping bags, ensuring a cozy rest.